Izzy’s Healthy Solutions: Buy One Joy Organics CBD Oils Product, Get One 30% OFF! Buy One Joy Organics CBD oils product, get one 30% off! Joy Organics is a high quality pharmaceutical grade, organic, full spectrum, zero THC CBD oil produced using the most advanced nano technology for fast absorption and high bioavailability. 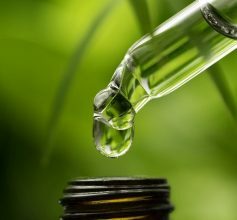 CBD oil is a powerful plant extract. It is NOT marijuana but it is extracted from the hemp plant which is 100% legal. CBD oil may benefit anxiety, depression, panic disorder, pain relief, inflammation, nausea, cardiovascular health, etc. It is a natural supplement to assist the body to be in balance to create better health. Come visit Izzy’s and see if CBD is for you!